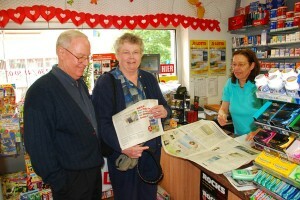 Gini and Bill Packwood have a new friend in Ludwigshafen, an industrial community located south of Frankfurt am Main. 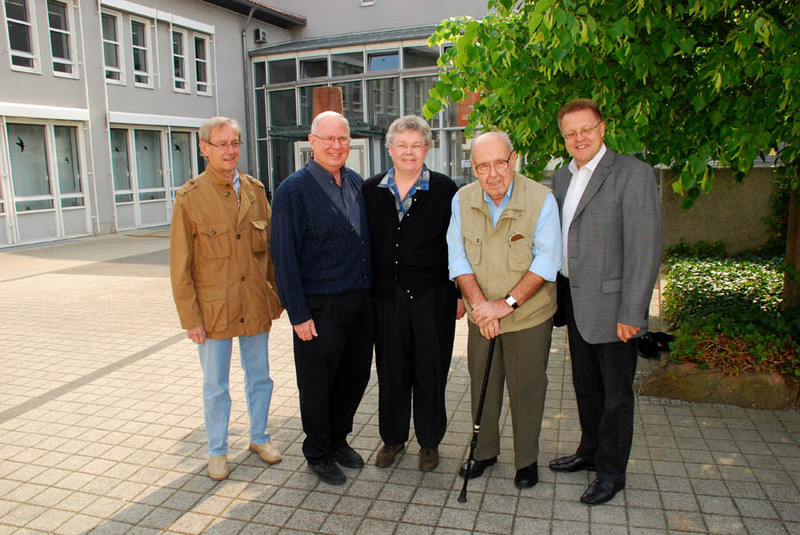 About a year ago, Gini Packwood ordered a “Familienbuch” published by the community of Waldsee. The book was painstakingly researched over a period of six years by octogenarian Paul Schwaningner. The book lists her entire family as it appears in the Waldsee records. An e-mail correspondence followed, assisted by Google “Translate,” which has come a long way since it first appeared on the popular search engine. 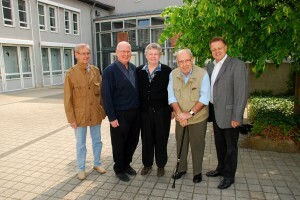 Paul Schwaninger wanted the Packwoods’ visit to Waldsee and his home state of Rheinland-Pfalz to be something special. So, he arranged for the local newspaper to publish a short piece including a portrait of the Packwoods in the local section of the daily newspaper. Readership is more than 100,000. 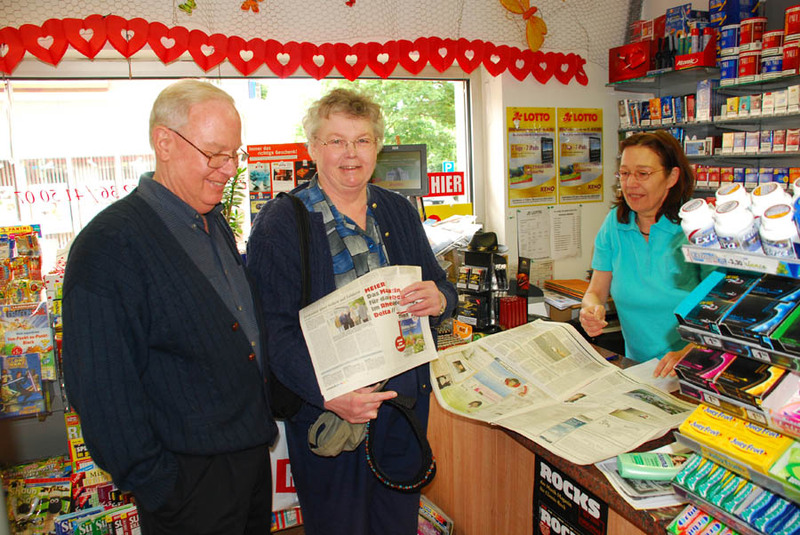 One of those readers was 90-year old Frau Weick of Beethovanstrasse 15 in Waldsee. On the day the Packwoods were visiting Waldsee, Frau Weick remembered that a letter had lain in an attic box for many years. That letter was postmarked in Minneapolis in 1923. It was written in an old German style which the younger generation can not read today. Excitement built. Stefan raced away on his bike to find the visitors from America. Could this letter tie the ancestors of Gini Packwood with the sister from Frau Weick’s family who left for America so long ago? Stefan Weick found us near the town’s local history museum, just a couple of blocks away from his house. The people who were guiding us that morning were anxious to get the tour of the museum started. Tour guide James Derheim suggested a meeting in a day and a half, in the late afternoon. Phone numbers were exchanged. What happened next was truly amazing. Stay tuned! Posted in Family History Tours and tagged graef, schwaninger, waldsee, weick.